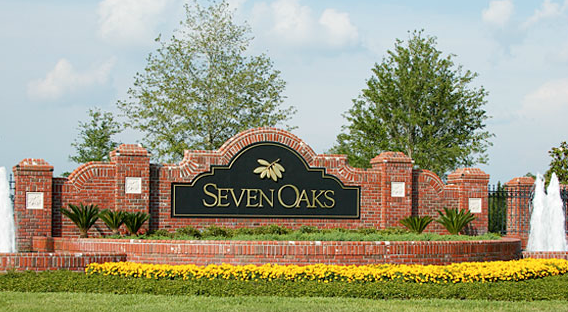 Seven Oaks, a master-planned community, located in one of the Tampa area’s fastest growing cities, Wesley Chapel, is known for friendly neighbors, family fun, and a close-knit community. The community is made up of twenty-four separate neighborhoods,nestled among forests, preserved wetlands, and the beauty and serenity of natural Florida wildlife. It has single-family two to four bedroom homes displaying classic Florida architecture. Serene nature trails wind through the neighborhoods so residents can enjoy the unspoiled Florida landscape. In addition, Seven oaks has many community parks where children can play, families can picnic, and the community can get together. The centerpiece of the community is its $4.5 million dollar, 17-acre SportsCore Clubhouse with five lighted HarTru tennis courts, sand volleyball courts, lighted basketball court and fully-equipped gym. It offers athletes and energetic kids everything they need for a day filled with activity and fun. And for those who want to relax after a day of activities, there’s a leisure pool, but those who want to keep going can swim laps in the junior Olympic swimming pool. Kids can also enjoy the double loop pool or splash park on a hot Florida day, while their parents take it easy in pool cabanas available for rent, enjoying fresh eats and drinks from the Seven Oaks Café. After that, the whole family can take in a movie at the community theatre. The Clubhouse also has a variety of activities for residents of all ages, including a Book Club, a Boot Camp for adults, guitar or karate lessons for kids and much more. Seven Oaks has so much to offer that you won’t have to leave if you don’t want to. But, if you choose to, you can easily access the exciting city of Tampa and burgeoning Wesley Chapel via I-75 and Bruce B. Downs. Three top-rated schools — ranging from elementary to high school — are also on-site or near the community, making Seven Oaks perfect for families with school-aged children. We’d love to help you find your dream home in this spectacular family-oriented community. So call us at 813-431-2840. We’ve sold over 4800 homes in the Tampa Bay Area. Our experience, commitment, and best-in-class customer service will also ensure you get what you want and enjoy the process. We know every buyer has special requests — and we are 100% committed to making sure yours are satisfied.